Over 70 journalists from about 50 domestic media groups took part in a themed publicity activity in Jinan, capital of Shandong province, on Sept 10.After the launch ceremony, journalists visited the Shandong cities of Jinan, Zaozhuang, Linyi, Rizhao and Qingdao on the five-day trip to explore the province's high quality development and modern economic achievements. The activity was sponsored by the Publicity Department of the Shandong Provincial Party Committee and the Office of the Cyberspace Affairs Commission of Shandong Province. The organizer was Shandong Internet Media Group. 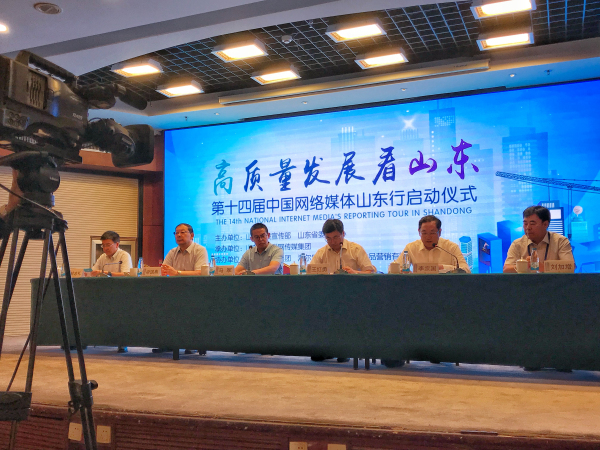 This year's media trip was the 14th held and aimed to use multiple modes of publicity to highlight the concept of innovation and promote cities in Shandong province through well-known domestic news media. 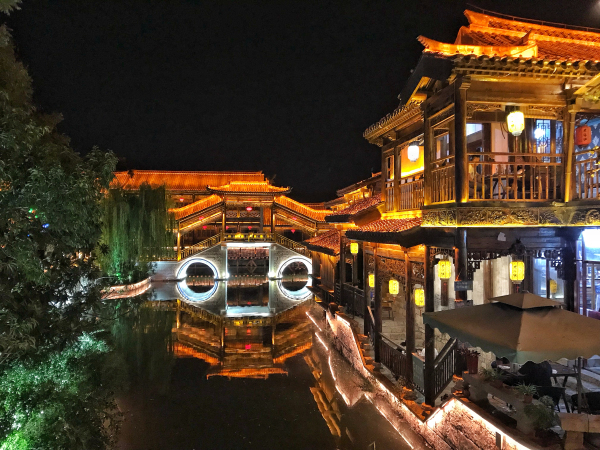 Originally known as "Qi Lu", or "Lu" for short, Shandong lies on the east coast of China at the lower reaches of the Yellow River, and consists of 17 prefecture-level cities. It has been taking the lead in China in marine, agricultural and light industries. Shandong is trying to grow from a merely economically-significant province into an economically-dominant one. 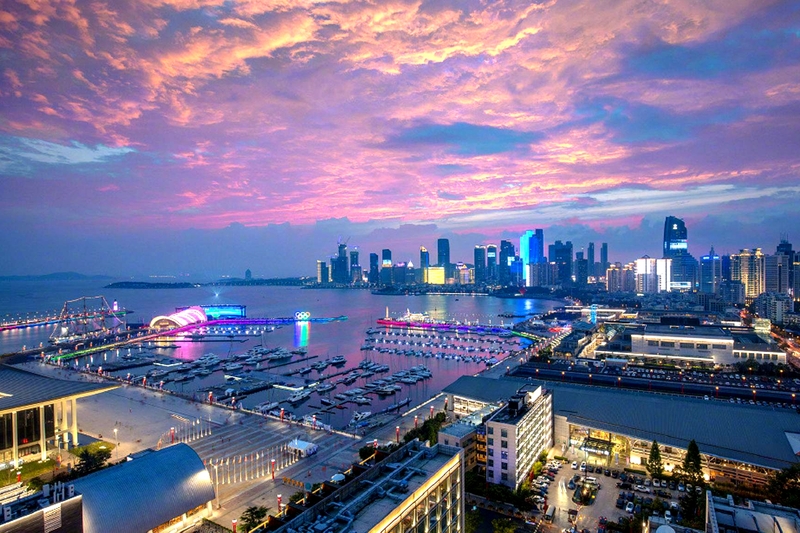 In 2017, its GDP reached 7.27 trillion yuan ($1.08 trillion), the added value of provincial industrial companies above a designated scale ascended by 6.9 percent, and the gross general budget revenue amounted to 0.6 trillion yuan. 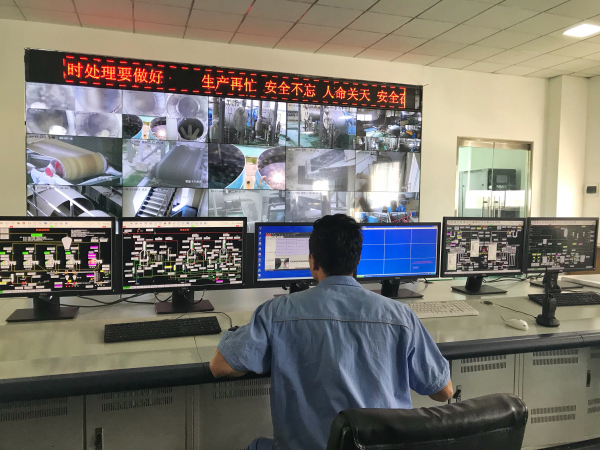 Thanks to well-established industrial infrastructures, industries such as engineering machinery, transportation equipment, textiles and apparel, information technology, and marine economy thrive there. Manufacturing makes an enormous contribution to Shandong’s economic growth. The province is home to a group of world-renowned brands like Haier, Hisense, Inspur, Weichai Power, Tsingtao Beer and Changyu. Riding on a spring breeze of new and old kinetic energy conversion, Shandong's economy is full of vigor and vitality.